At Compass Wealth, your financial needs always come first. We discuss your current situation, concerns and goals before we provide any type of financial advice or services – we are advisors, not salesmen. Our next step is the development of a financial strategy that is based on your input and our collective experiences. Then we coordinate the implementation of an integrated strategy that has one clearly defined focus – to help achieve your most important financial goals. Planning, Reporting: Provided by Chapman & Co., P.C. We provide separate and fully integrated combinations of financial advice and services to our clients. More about our financial planning services…..
Financial planning is your roadmap for achieving your financial hopes and dreams. We help you create the map then we help you implement it. Our role is to keep you on track so you achieve your financial goals. More about our investment advice…..
At the end of the day, you need to accumulate assets during your working years and preserve the value of those assets during your retirement years. Protecting principal is the key to maximizing current and future income. Our role is to understand your investment horizon, tolerance for risk, and rate of return objective. Then we develop a strategy that maximizes the probability you will achieve those goals. We help you make key decisions; for example, asset allocation and money manager selection. Then we monitor your results, report performance, and make recommendations as needed. At Compass Wealth, our sister company, Chapman & Co., P.C., provides a complete array of tax services tailored specifically for the needs of successful individuals and families. Understanding tax law, staying current on changes, and finding opportunities to minimize taxes takes a full-time commitment from a team of experienced professionals. Our experienced professionals provide the guidance you need to minimize taxes and preserve the value of your estate. 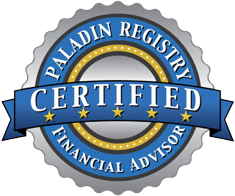 The registered representative(s) or investment advisor representative(s) referred to on this site may only transact business, effect transactions in securities, or render personalized investment advice for compensation, in compliance with state registration requirements, or an applicable exemption or exclusion. Securities offered through Cetera Financial Specialists LLC (doing insurance business in CA as CFGFS Insurance Agency), member FINRA/SIPC. Advisory services offered through Cetera Investment Advisers LLC. Cetera entities are under separate ownership from any other named entity. Home offices at 200 N. Martingale Rd., Schaumburg, Il 60173. Phone 888.528.2987. The information contained in this site is for general guidance on matters of interest only. The application and impact of laws can vary widely based on the specific facts involved. Given the changing nature of laws, rules and regulations, and the inherent hazards of electronic communication, there may be delays, omissions or inaccuracies with the information contained in this site. All information in this site is provided "as is", with no guarantee of completeness, accuracy, timeliness or of the results obtained from the use of this information. Even though we have made every attempt to ensure that the information contained in this site has been obtained from reliable sources, Compass Wealth, LLC is not responsible for any errors or omissions. Compass Wealth, LLC will not be liable for any damages of any kind arising from the use of, or inability to use, this site, including, but not limited to direct, indirect, incidental, punitive, and consequential damages. Any actions based on the content in this website should only be undertaken after consulting your professional advisor. In no event will Compass Wealth, LLC, its partners, or employees, be liable for any decision made or action taken in reliance on the information in this site.